Teenager Ryan Sessegnon is looking forward to a bright Fulham future after signing a new three-year deal with the Sky Bet Championship club. Sessegnon, 17, had been linked with Manchester United, Liverpool and Tottenham after earning rave reviews last season. But Fulham, who last term reached the play-offs, announced he is staying with them after signing his first professional contract. "I'm excited to see what's in front of me at this club. Hopefully we can all push on now," Sessegnon told fulhamfctv. "Last year I got a lot of opportunities from the gaffer, and I just want to continue that." Sessegnon, named in the England Under-19s' squad for their European Championship campaign in Georgia, can operate in midfield or at left-back and has made rapid progress since joining the club in 2008. The left-sided player made his first-team debut in the EFL Cup win at Leyton Orient last August and went on to make a total of 30 first-team appearances in his debut season, scoring seven goals. "Ryan joined our first-team squad early during pre-season last summer," Fulham boss Slavisa Jokanovic said. "One year on, I'm pleased that Ryan's performances have been rewarded with his first professional contract with Fulham and he will continue to be part of our project in the future. "He is an exceptional young player who has demonstrated loyalty and commitment by continuing to serve this club since his progression from the academy." 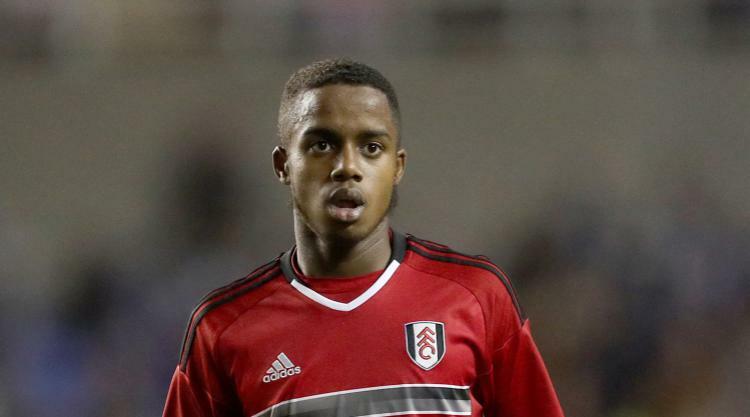 Sessegnon's twin brother Steven has also signed a three-year deal at Craven Cottage.